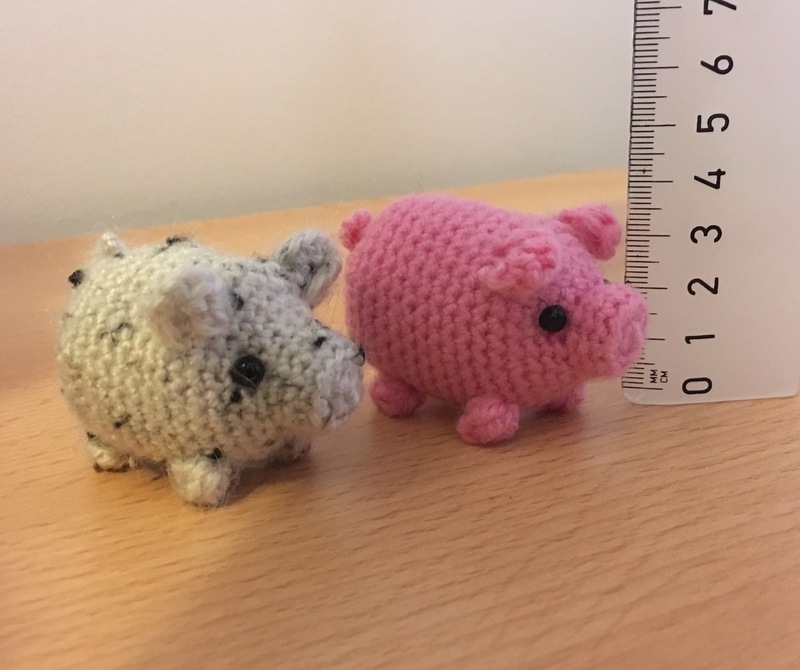 This Mini Pig is a quick and tiny make. He is totally one piece. Sc (30) Place safety eyes approx. between R7-8, 6st apart. Inline with the ears. *3sc, dec * (24) – Start stuffing the piece and continue until closing. Tail - Join yarn into desired location and make a loop. FO – Hide yarn tail into body. I featured this little piggy (hahahah) on my website recently as a great summer project, was so cute I had to make one! Super cute and so easy! My finished piggy will be popping up on my site soon to. This pattern was amazing! I am so glad I found this. My little piggy came out super cute. I love the way you made it all in one piece and made it easy while doing so. Looking forward to trying another pattern of yours soon! Do you have a sheep or pig pattern like this? My brother LOVES farm animals. I have a mini sheep on here which is a free pattern. It is bigger than this though. I will look at making a chicken. I just love your simple and super-cute pattern(s) How clever and delightful that you design them all-in-one piece. I for one do not enjoy sewing all the little bits together when making others' patterns. I added a little curl to the tail with 3 sc in each chain. Idk why my last comment was "unknown" I am Sheila in Greensboro, North Carolina and just finished my second little piggy tonight (with curly tail) So fun! This is a really fun pattern! Thank you very much. I used Sheila's curly tail and I'm really happy with how it came out. I'm having a hard time understanding row 11, can you explain it to me a little easier?? Otherwise I love making this guy ! !